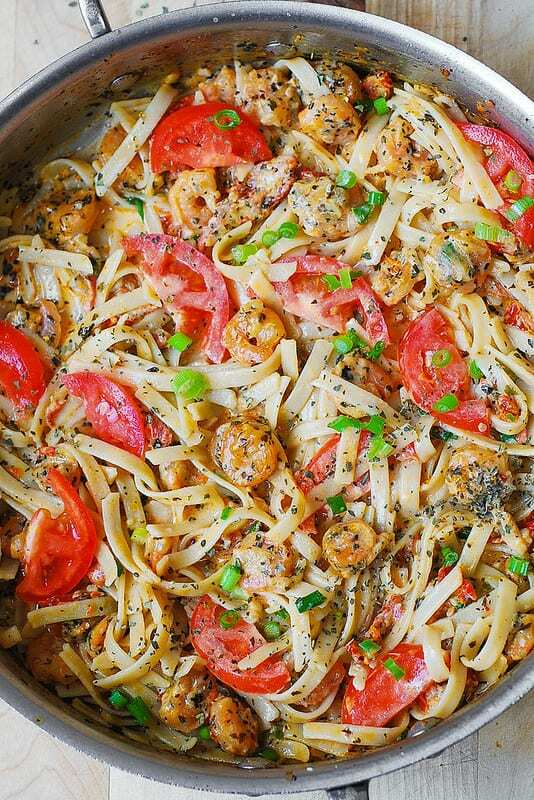 Shrimp with Basil Tomato Fettuccine Pasta – lots of garlic and fresh tomatoes in this spicy dish, smothered in a flavorful and spicy creamy sauce! Refreshing, Summer pasta recipe! This recipe is super easy to make and great for using fresh tomatoes if you have too many! 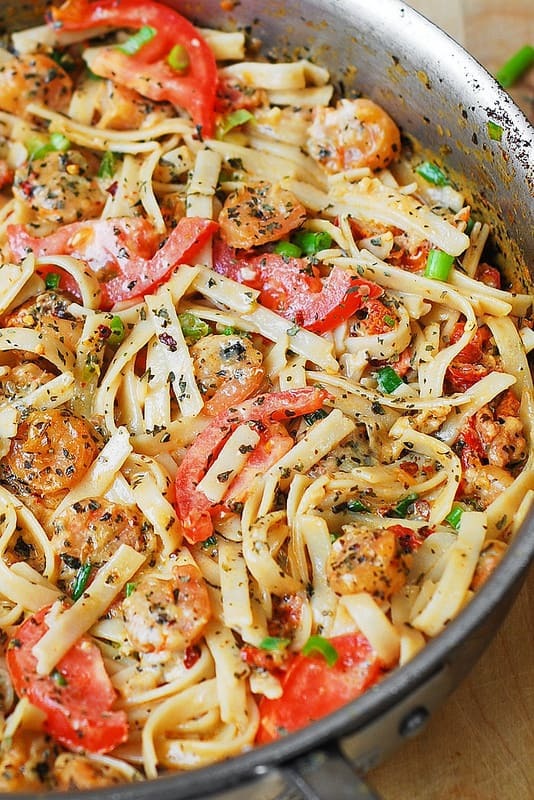 You’ll love this refreshing basil tomato pasta dinner with shrimp – it’s very creamy and satisfying, with a Mediterranean flare! First, you cook together the shrimp, garlic, fresh sliced tomatoes, and basil. Then, add half and half, more basil and crushed red pepper flakes, together with shredded Parmesan cheese to make the creamy sauce. Next, add cooked pasta to the creamy sauce with shrimp. Finally, add even more fresh sliced tomatoes! What is half and half? It’s half milk, half cream. To make 1 cup of half and half, combine 1/2 cup milk and 1/2 cup heavy cream. 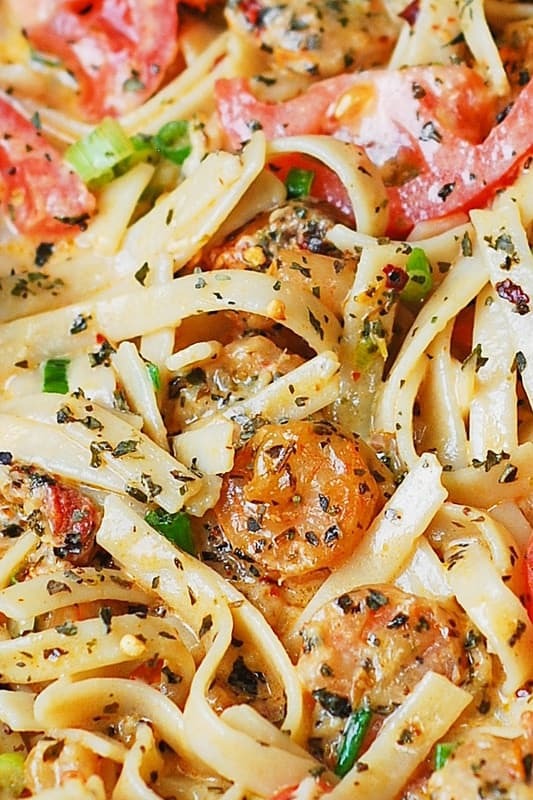 Shrimp with Basil Tomato Fettuccine Pasta - lots of garlic and fresh tomatoes in this spicy dish, smothered in a flavorful and spicy creamy sauce! Refreshing, Mediterranean, Summer pasta recipe! In a large skillet, saute minced garlic, sliced tomatoes, and basil in 2 tablespoons of oil for 1 minute until garlic is fragrant. Add shrimp, sprinkle with a small amount of salt, paprika, and cook on medium heat for about 2 more minutes. 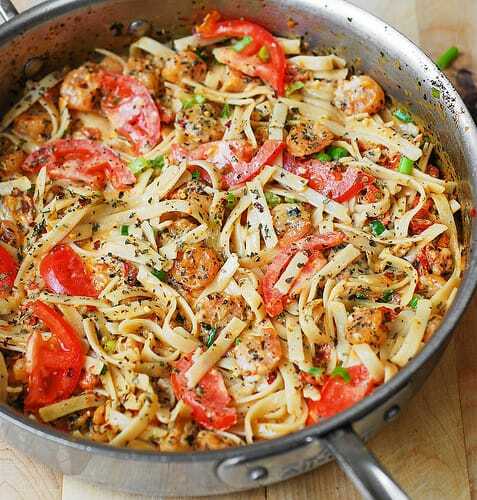 Add half and half, 1/2 teaspoon of dry basil, and crushed red pepper to the skillet with shrimp and tomatoes, bring to boil and reduce to simmer. Whisk the Parmesan cheese into the hot cream and stir to melt cheese, on lowest heat setting, until the cheese is melted. Remove the sauce from heat. Add more salt, basil and more crushed red pepper if desired, to taste. In the mean time, cook pasta according to package instructions. Drain (reserving some pasta water). Add cooked pasta to the creamy mixture, add fresh sliced tomatoes (2 total), more salt, basil and more crushed red pepper if desired, to taste. Oooooh Mmmmyyyy Gooooodnesss!!!! This was a huge hit for even my kids!!!! 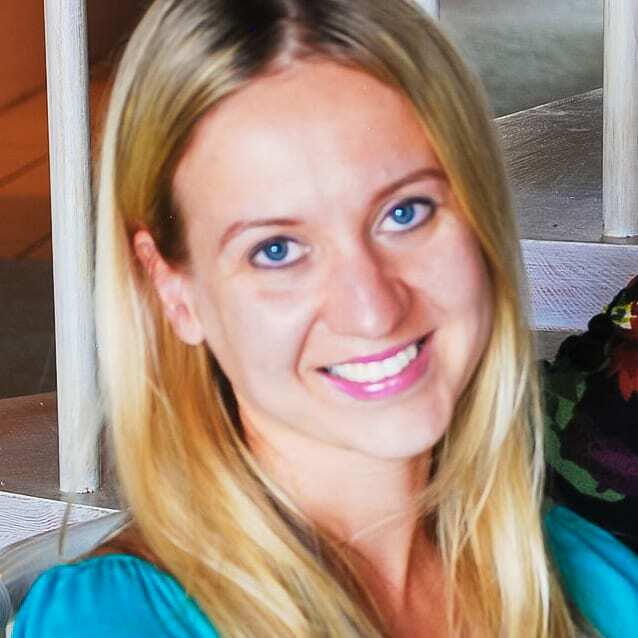 !–they are still little monkeys! We all enjoyed the dish!!!! On top of it, it’s SO easy to make and WAY TO FAST to serve!!! This will be one of our staple weekday menus 🙂 Thank you, thank you, thank you!!! I’d make the pasta first. Add maybe 1/2 cup of the pasta water back to the pasta and then add the shrimp mixture. Agree with other comment. There seems to be info missing in the recipe. There’s no mention of sun dried tomatoes that the note refers to & what’s with the reserved pasta water? I’m bummed, because the recipe really looks delicious & I’d hoped to make it. This looks great, but am I missing something? I didn’t see a note about sun dried tomatoes and what do you do with the reserved water from the pasta? Looks amazing!